WooCommerce Product Finder Extension: Top-notch, multi-faceted, advanced product search form for your WooCommerce site! 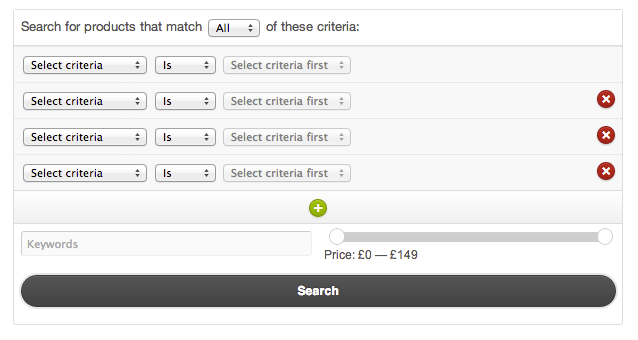 Search includes attributes AND categories, keyword, price slider and more! Are you looking for a multi-faceted, advanced product search form for your WooCommerce site? The WooCommerce Product Finder Extension is the cream of the crop. WooCommerce Product Finder Extension: There’s even a Widget!